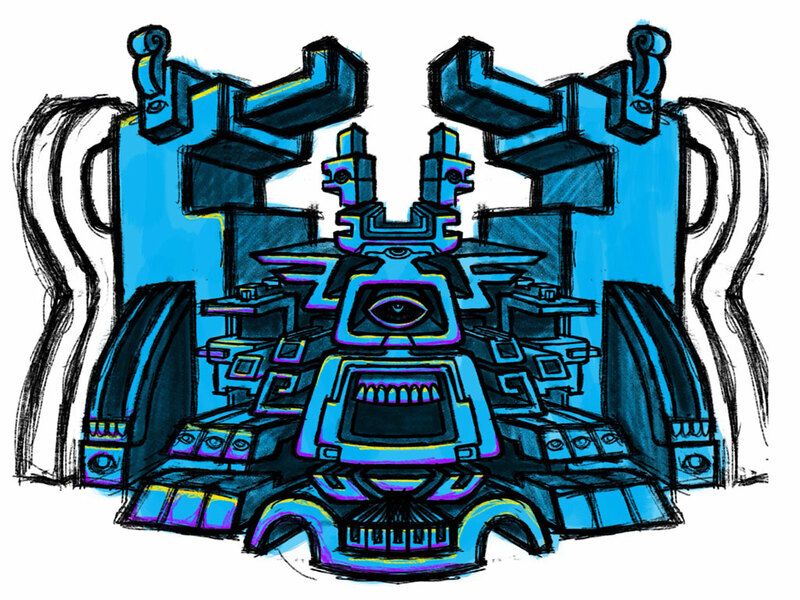 Psychedelic monster temple sketch. Opening up the designs a bit more and playing with the extrusion angles of the details. Not sure the curved outer elements are working. Or the colors. This entry was posted in Art and tagged art, drawing, eye, face, jaw, psychedelic, sketch, teeth, temple. Bookmark the permalink.